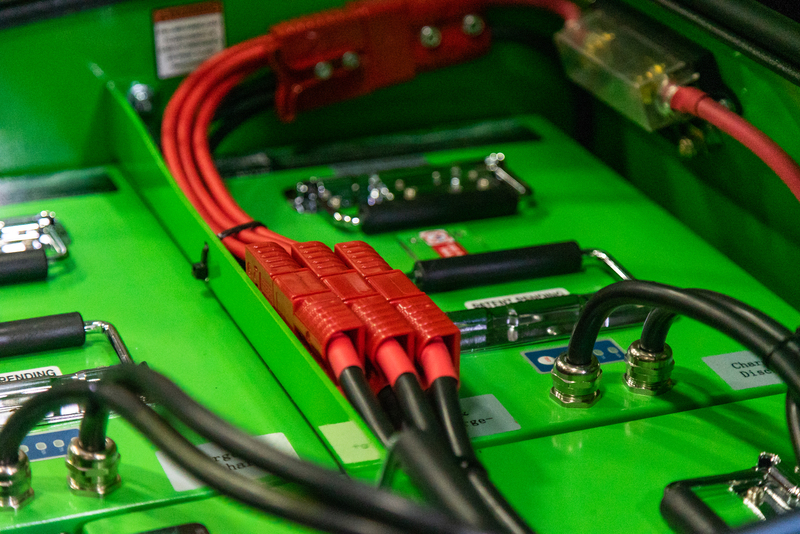 The Next Generation of Powerful Electric Stand On Mowers. 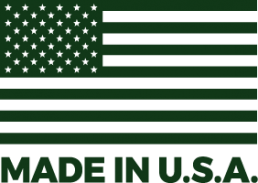 The powerful, patented “STALKER” STand on wALK behind mower is built with pride in the heart of the USA. With its slammed chassis contributing to the extreme low center of gravity, the STALKER hugs hills while still providing cutting heights up to 4.75” on its fully adjustable floating deck. This super quiet stand on/walk behind mower stealthily hunts down unsuspecting grass in the most demanding small areas! Neither the grass nor the homeowner will ever here it coming! 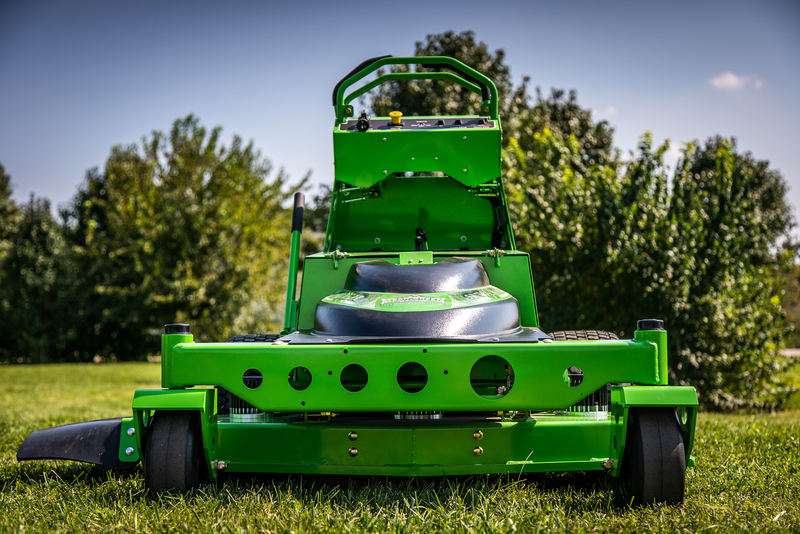 Powered by Mean Green pure Green Lithium Energy Modules, the new 48″ cut cordless mower can mow for hours on its Lithium Energy Modules (LEMs). 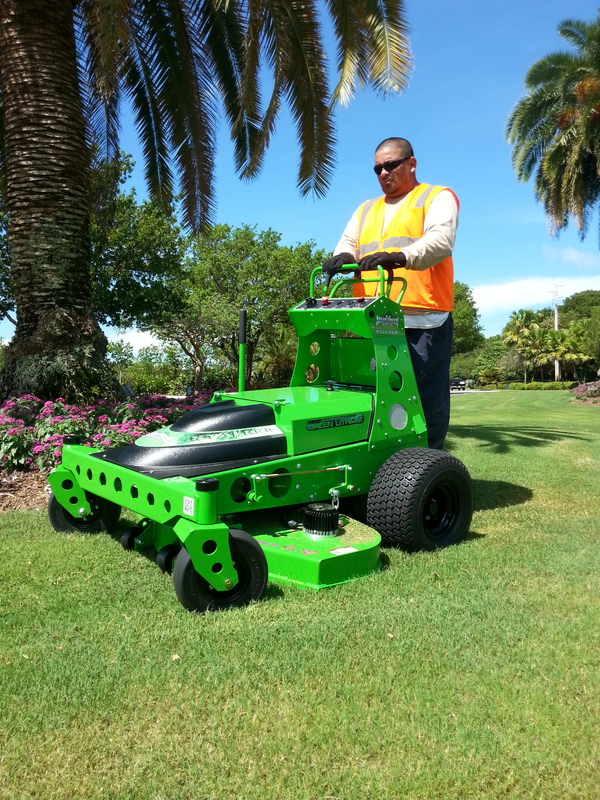 The Contractor STALKER is a true “ALL-DAY” commercial electric mower. 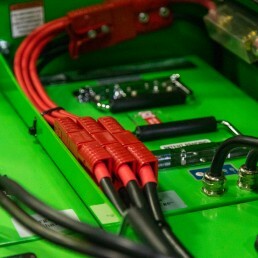 And…Did we mention the extreme power and STEALTHY operation? *Based on CSPPricing and availability may vary by region and dealer. Price does not include tax, delivery or set-up fees. Click "Get A Quote" for a detailed estimate from your local dealer. 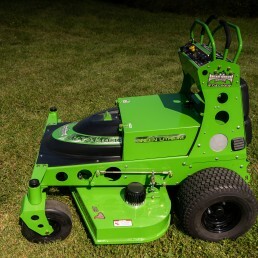 The powerful, patented “STALKER” (STand on wALK behind mowER) mower now has an option that really blows! 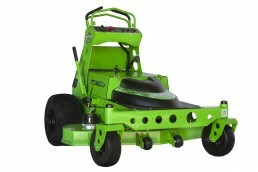 Mean Green Mowers introduces patent pending Quiet Turbine Technology (QTT) to our Stalker Stand-on mower! The STALKER QTXN BLAST! 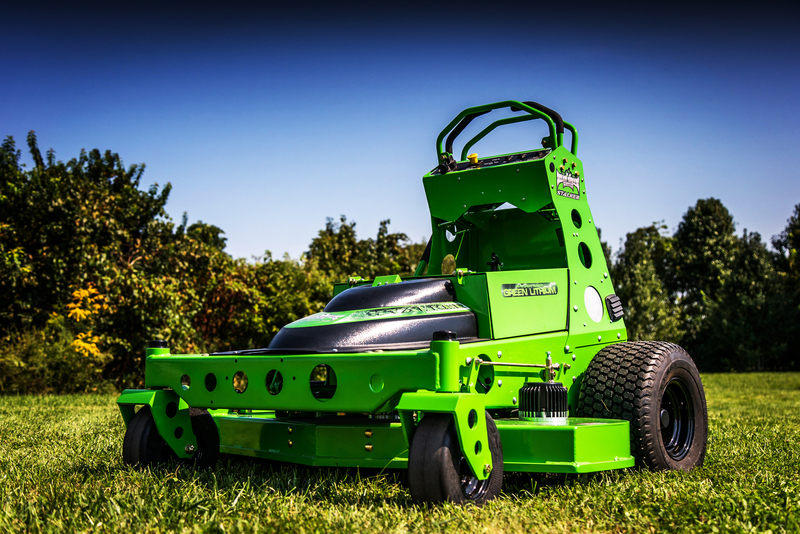 is a powerful yet quiet addition to the already impressive Mean Green line-up of commercial electric mowers! 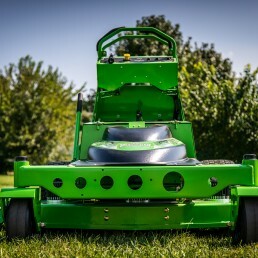 The Stalker mower is now available with a powerful electric grass/debris blower concealed under the front cover of the mower. 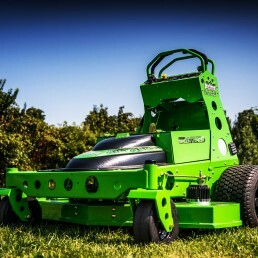 Now it is possible to do all of your mowing and debris blowing without ever stepping off this impressive machine. No more agonizing pull-string starting like on gas blowers. 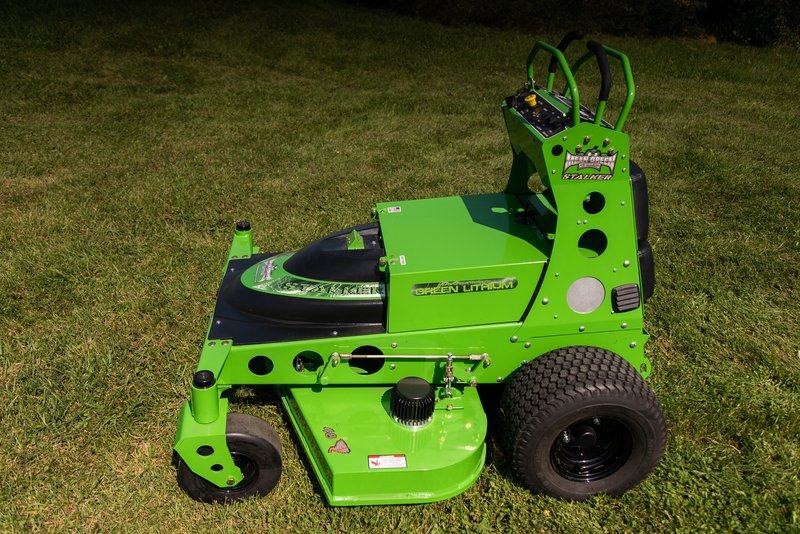 Just flip a switch when you are done mowing and cruise along any sidewalk, road, or driveway to blow the grass/debris clippings off the surface. For 2016, the optional Stalker QTXN BLAST! 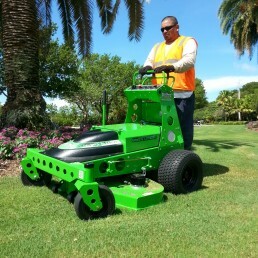 enables the operator to swing the nozzle side-to-side remotely without ever stepping off the mower! 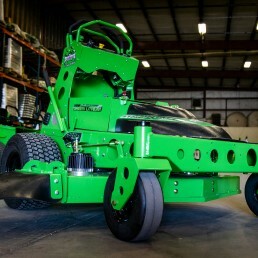 Why drag around a heavy, loud, polluting gas blower when you can just drive along comfortably with low noise and zero emissions on the Stalker mower? 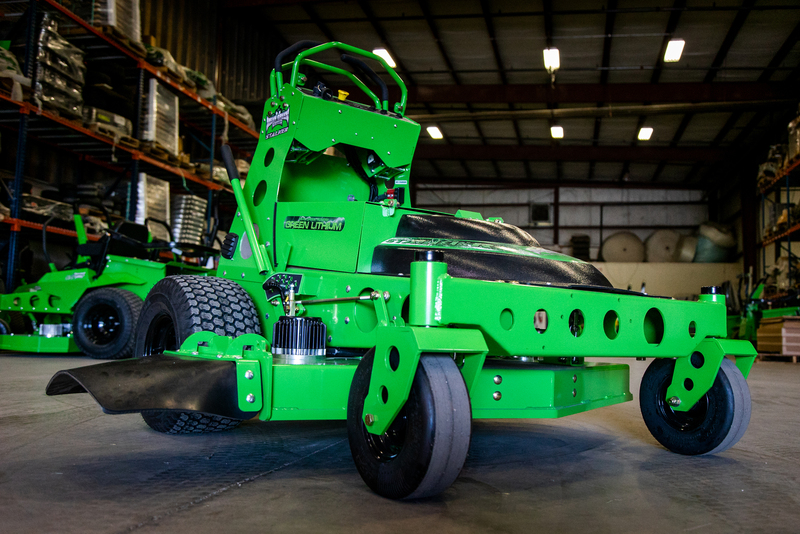 With air volume and speed similar to most gas powered backpack blowers, this zero emission, quiet blower is sure to please your workers and your most demanding customers. Hotels, resorts, restaurants, HOAs and any particular residential customers will praise this new quiet turbine technology. Of course zero emissions and low noise also comes with the huge benefit of NO EARPLUGS and NO GAS to purchase! MOW GREEN, SAVE GREEN$.